The appreciation for marble and geometry go hand in hand. It all started when the ancient Greeks and Romans started using symmetry and harmony to create a mixture of beauty and grace. Although we can barely imitate the scale of their buildings that does not mean that we cannot take inspiration from their techniques. Further, we’ll be taking a look at how you can use marble and geometry wisely to your home design. Since we’re not working with authentic marble, but textures in various materials, using it on the media wall is the best way to go. 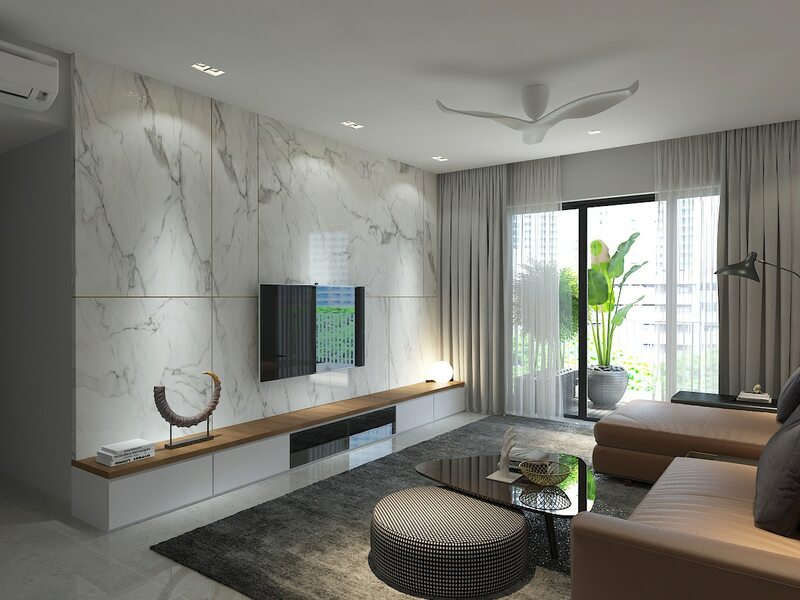 It is not only a major focal point in your home, but simply using the marble texture can help you emulate a sense of luxury and affluence without overdoing it with the design. You can use it in simple rectangular or square patterns to emulate elegance. For bathrooms, marble textured tiles are the best choice of materials. You can create contrast with varying textures and colors. 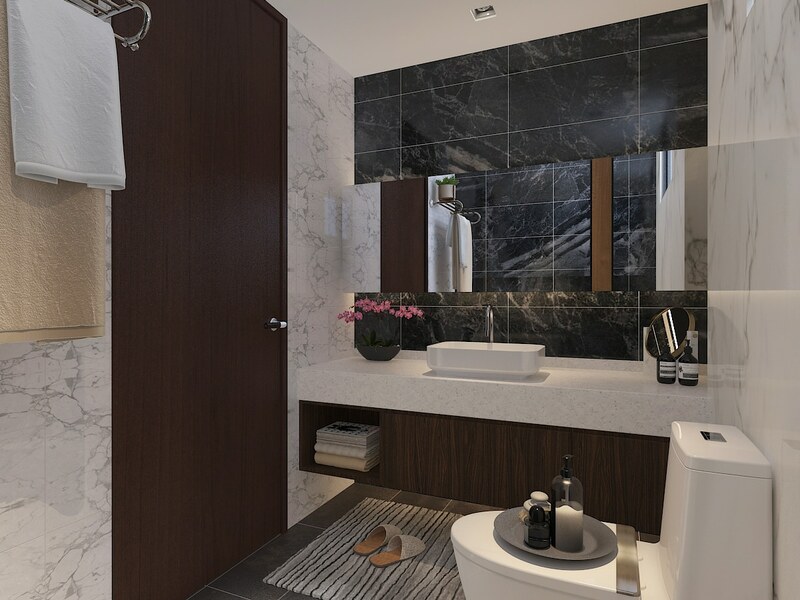 The black and white contrasting marble texture tiles used in this bathroom are a great example of how to blend light and dark colors. The accent wall always has to be darker in order to retain its focal element. 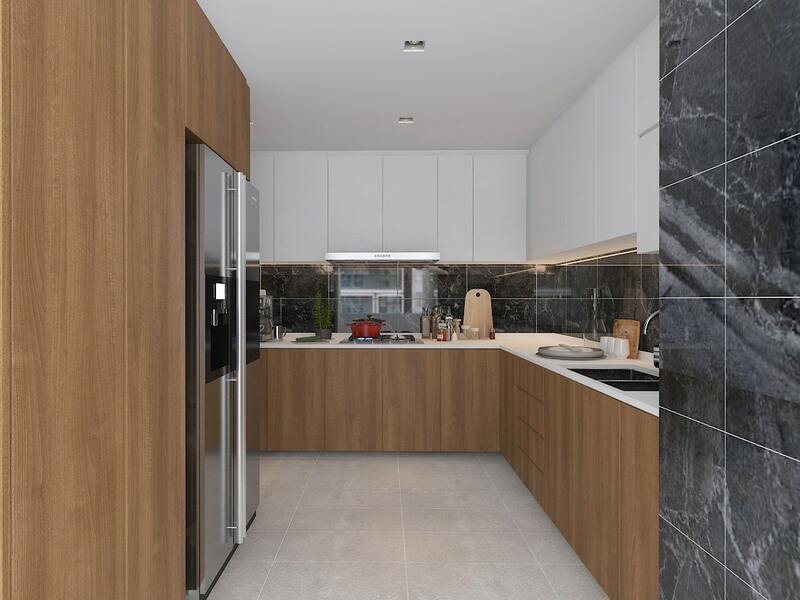 The kitchen is not the most unlikely place to implement marble textures. The backsplash is always an opportunity to experiment with different materials, and depending on the kind of aesthetic you’re going for, you can choose between black and white marble textures. You can cut them to customized pattern or go with simple geometric shapes like squares and rectangles as well. 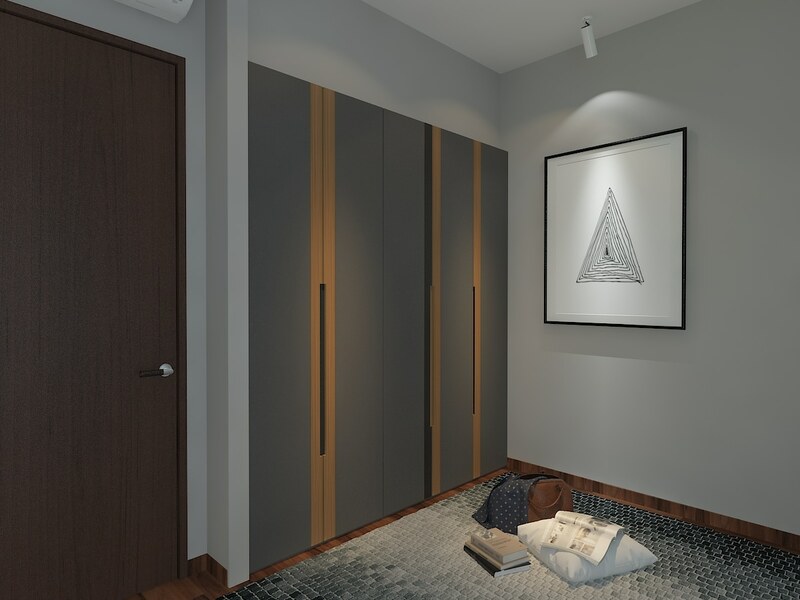 In contrast with the elegant beauty of marble textures, the designers at Made Artisan have complemented this HDB interior design with wardrobe designs based on simple geometry. Each door leaf features simple vertical lines in alternating materials and the overall effect is quite elegant. Coupled with the chic accessories that make up the surroundings, this design complements the ambiance of the home quite well. 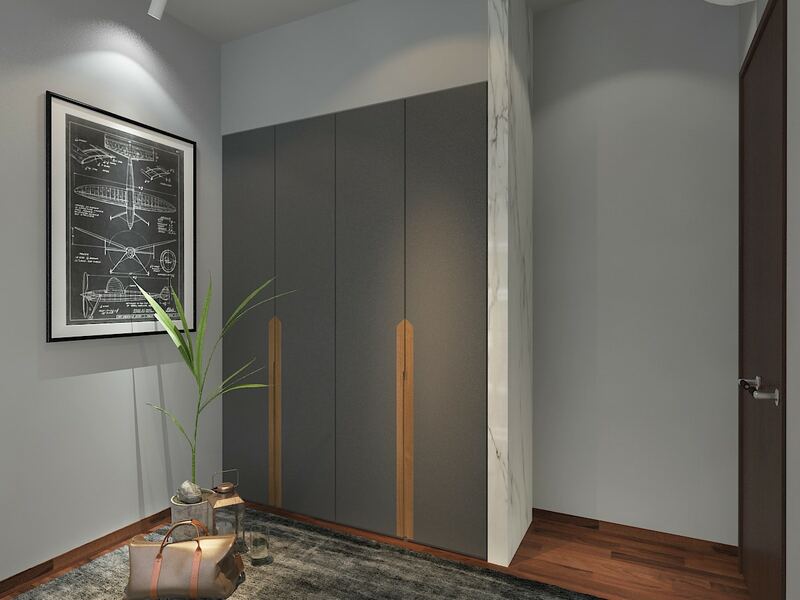 The simple design of this wardrobe is another great contrast to the classy elegance of the marble. However, its effect is more understated, and comes off as very contemporary. The contrasting materials and the complementary accessories make it quite a cozy set-up.